Audrey Askew has resigned as Baltimore city auditor eight months after she was named to the position. Asked why she left, Askew said in a brief phone interview today, “Baltimore will never know why, but they know why,” declining to say who “they” referred to. Askew reported to City Comptroller Joan M. Pratt, who said she was surprised by Askew’s remarks. Askew said that she does not have another job lined up. Her decision to leave city government was made jointly with her husband. She submitted her resignation to Pratt on Monday, which followed a meeting at City Hall on Friday where she was seen abruptly leaving. A 1993 accounting graduate of Towson University, Askew worked for four years for Baltimore City Schools and two years for Bon Secours Hospital, opening up her own accounting firm in the interim. She worked as an audit manager or principal for four firms, including SB & Co., before she was hired as deputy city auditor in March 2017. Following the retirement of longtime city auditor Robert L. McCarty, Askew was made acting auditor at a salary of $153,000. She was named city auditor last July. Askew’s office of 35 auditors is responsible for reviewing city contracts, extra work orders, co-conducting the CAFR (Comprehensive Annual Financial Report) with an independent firm, and performing biennial audits of city agencies. Askew was a frequent presence before the Board of Estimates, often delivering critical audits of city agencies. She made waves last September when an audit of Mayor Catherine Pugh’s office disclosed that staff were improperly using a city-issued credit card, racking up thousands of dollars of questionable expenses, including nearly $24,000 to buy and dry-clean coats given to homeless people. 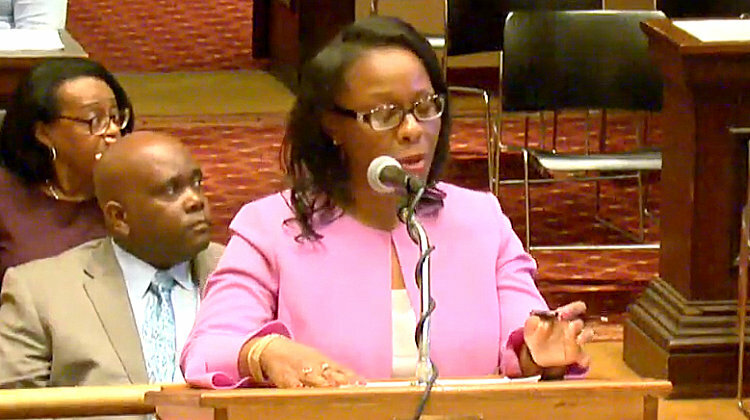 The mayor distanced herself from the controversy (“I didn’t even know we had credit cards,” she told reporters), while Finance Director Henry Raymond fingered the mayor’s chief of staff, Kimberly Morton, as the cardholder. The matter helped spur the transfer of Morton from the mayor’s office to the Department of Public Works, where she now serves as deputy director to Rudy Chow. More recently, Askew issued a qualified opinion of the health department, noting various material weaknesses for fiscal years 2016 and 2017. She also delivered a harsh assessment of the city’s homeless services predating the Pugh administration. During her brief tenure at City Hall, Askew earned a reputation for being firm and, some would say, brusque. “She was very black and white in her opinions and always had to be right,” said an official who found her difficult to work with.